The new Radiant Creamy Concealer by NARS cosmetics is crease proof, LOL! For those of you like myself aging but do not want to show it under your eyes… This is the concealer for you! I love it because it decreases the look of fine lines. Of course being from Miami one of the most flashy cities in the world… Yours truly cannot go without “that glow”! 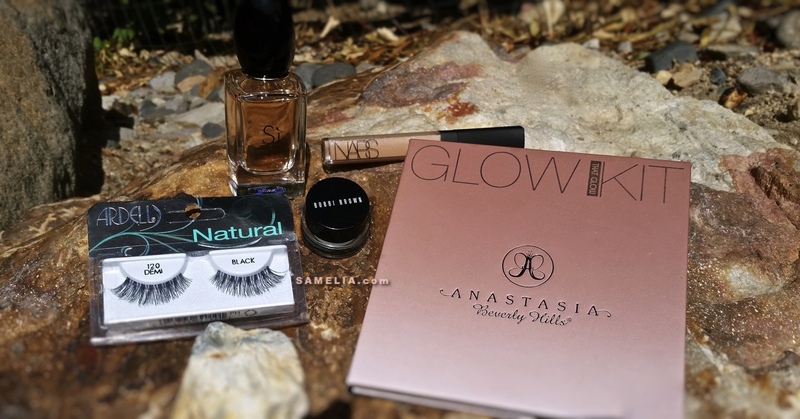 I’m talking about Anastasia Beverly Hills Glow Kit that may be used all over the face and body, which is a huge thumbs up for me! 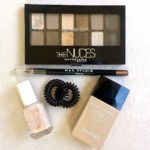 Such a fan of a healthy glow all year round and is worth the $40 investment. SAMELIA’s WORLD as you grow with yours truly… I love a great fragrance or distinctive smells… This “Si” by Giorgio Armani rose scented fragrance is essential this month. The scent of Freesia and Rose make me feel so sensual and fresh. It is not for everyone but, one definitely should have a parfum with all the seasonal changes.